Are those sleigh bells you hear? No! It's Gingerbread Jimmy here to spread holiday cheer! This jolly cookie comes complete with a sewn on Santa hat, bells on his shoes, and a "cheeky" surprise. 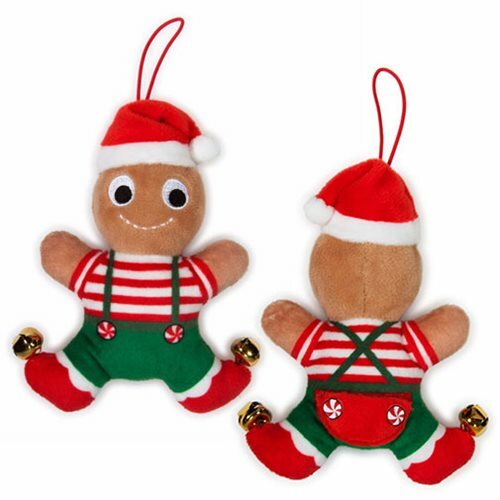 Dressed in his most festive attire, this Gingerbread Jimmy 4-Inch Plush will make a great addition for the holiday season! This 4-inch plush comes with an attached hanging string and hangtag. Ages 3 and up.